More similar than a bit. Bill Giles cut his teeth working in the Reds organization under his Father who had been President of that club before becoming the head of the NL. Haha. The Reds are still so similar to the Giles-era Phillies. Buddy Bell is also in their front office. And the minority ownership's son runs baseball ops (recently elevated from GM). They also had all the Boones (Bob, Brett and Aaron) at one time or another. So is Ryan Madson the last Phormer Phil in the postseason? Brandon Workman is the closest thing to a phormer Phil on the Red Sox. Madson on the WS roster. Looking for a third ring. Madson hurting his chance at a ring by allowing all five inherited runners to score In the first two games. Also apparently has now pitched in the 2nd most postseason games ever behind Mariano Rivera. He had a 2-inning start and then a bad 6-inning start to close the year. They might have pushed him (or he was pushing to show a new organization something). That is too bad. And Cabrera stunk for us and thankfully will in the future be discussed on this forum rather than any current Phillies thread here. #Cubs might make a trade to clear salary before picking up Hamels’ $20M option, sources tell The Athletic. At this point, a long-term deal for Hamels is unlikely. If Cubs decline option and make Hamels a free agent, #Rangers will pay his $6M buyout. But goal is to keep him. https://www.nbcsports.com/chicago/cubs/cubs-trade-away-drew-smyly-clear-room-cole-hamels-rangers Hamels option picked up. He is staying in Chicago. RA moving to the front office again. 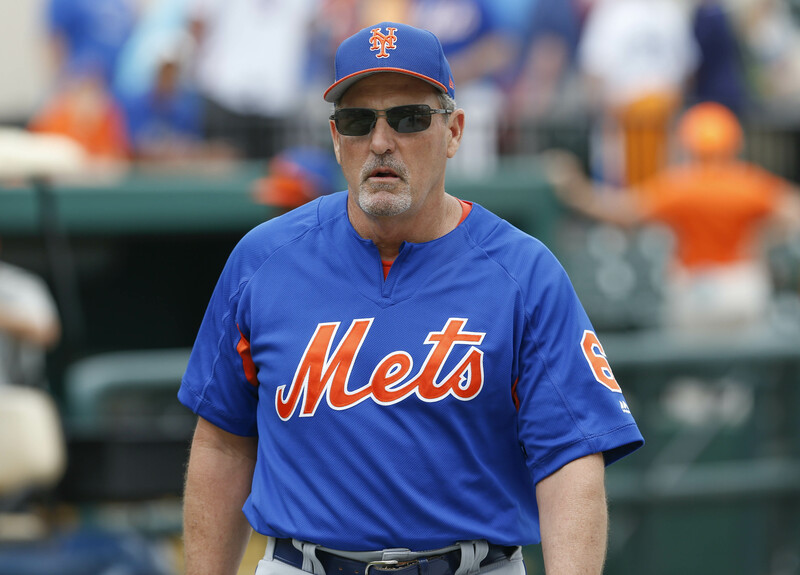 The Mets are parting ways with hitting coach Pat Roessler among a series of moves to the coaching staff. Read more at MLB Trade Rumors. I wonder if he was already under contract or is genuinely wanted as an "adviser." Doesn't see like a good thing for him, whether he wants to be a manager or a GM. But he and Van Waganen are probably pals Van Waganen was protege of Howard's agent Casey Close). And Van Wagenen has no GM or front office experience, he's a former agent. Speaking of which, can you imagine Scott Boras as a GM? True, but they already have Ricciardi and Minaya too. I guess being an actual assistant GM would be viewed as more of a demotion. But I guess in this era of analytics and front office/manager mind meld, being back in a front office is just as valid a path to managing as being in the dugout. Easier life too. Chase Utley has officially retired. Thanks for all the memories Chase! What a run he had with the Phillies. A fan favorite. Berry is expected to step up as the Brewers’ new outfield and baserunning coordinator in 2019. Source: Former Phillies first baseman Tommy Joseph has agreed to a one-year, $1 million deal with the LG Twins in Korea. Joseph spent last season in the Rangers organization. He is young enough of course that he could hit very well and come back with another shot at a 1B job. Good luck to him. Was always just a tweener at 1B with offense that would have fit well behind the plate if he could have stayed healthy.